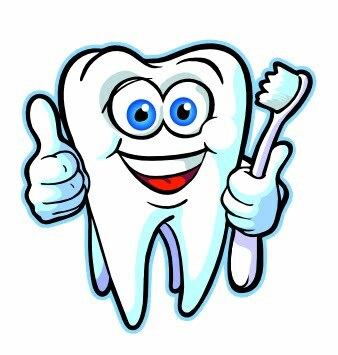 Nine times out of ten, when I see an anthropomorphic cartoon tooth being used as a mascot for a dentist’s office or oral hygiene campaign, the cartoon tooth is smiling. With it’s teeth showing. In case you need me to break this down for you: The TOOTH has TEETH. It has tiny versions of itself in its mouth, and this freaks. me. out. 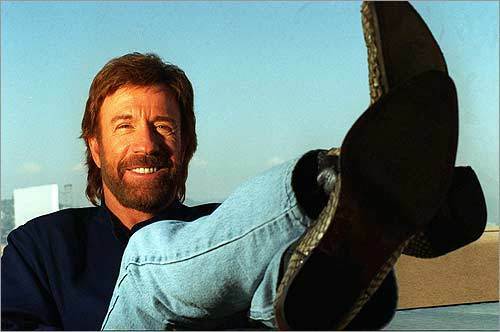 Here’s Chuck Norris, just chilling, waiting for someone to f*ck with him so he can destroy them any number of different ways. 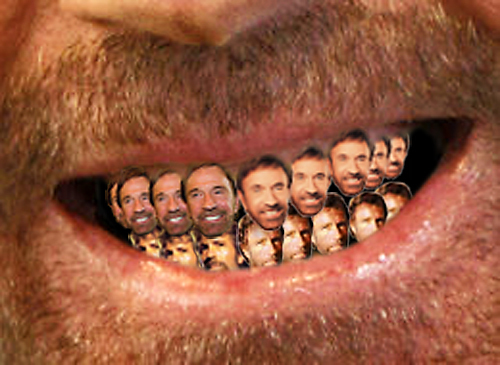 Nice smile, Chuck. And now that I’ve made and looked at this awful thing, if I am ever in a position to choose the form of the destructor, I’m pretty sure that this is what will end up razing Midtown. A giant Chuck Norris with smaller Chuck Norrises for teeth, gnawing skyscrapers end to end like steel & concrete ears of corn. God help us all.